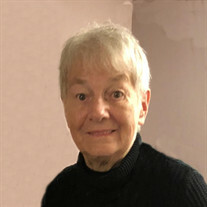 Ruth A. Hoffman, age 75, of St. Cloud, formerly of Kandiyohi, died Sunday, December 17, at her home in St. Cloud. Ruth Anne Hoffman was born on April 8, 1942 in Emmetsburg, Iowa, the daughter of Daniel and Bessie (Garrett) Gunn. She grew up in Emmetsburg and moved with her family to the Spicer area where she completed her education and graduated from Willmar High School in 1960. In 1961, she was married to Harley Hoffman and they made their home in Atwater until 1976 and then she moved to the Paynesville area. She worked at St. John’s University until 1985, then the Paynesville School District. Ruth moved to Kandiyohi and worked for Willmar Plumbing and Heating and later at Haug Implement, retiring in 2011. Ruth also worked as a relief Postal Officer at post offices in the Willmar area and the DAC in Kandiyohi. She continued her education in St. Cloud State receiving a BS degree in Applied Science. Ruth was an avid flyer, receiving her pilot’s license at the age of 55. She was the Commanding Officer of the Willmar Civil Air Patrol and flew countless search and rescue missions and trained cadets and earned the rank of Lt. Colonel. Ruth loved spending time with her family, her grandchildren and great grandchildren and enjoyed square dancing and traveling. She is survived by two children, Randy (and Kathi) Hoffman of Leonardtown, MD and Brenda Hoffman of St. Paul; 7 grandchildren and 5 great grandchildren. Also surviving is one brother, Daniel Gunn of Spicer and two sisters, Phyllis Wilken of St. Cloud and Betty Thurston of Watkins, besides other relatives and friends.